Float Finish – Specialized Construction Product’s Float Finish is manufactured from high quality aggregates, proprietary additives and polymer binders to produce a fine granular textured finish. Float Finish is an extremely versatile material which is designed as a finish coat for covering a huge range cementitious substrates including, correctly prepared masonry and EIF system, precast panels, fibre cement and aerated concrete. Float finish is the perfect choice for a traditional ‘solid plaster’ style of texture or sand finish. Float Finish must be finished with a minimum of two coats of 100% acrylic paint or an approved latex exterior paint system in accordance with Specialized Construction Products paint specifications. Spanish Finish – is a polymer-modified, cement based plaster used to achieve an undulating adobe style finish. This product can be applied in various thicknesses and using a number of different techniques to achieve a huge range of finishes – anything from a traditional Spanish Swipe through to a very fine Mexican Hacienda style. Before finish coating begins it is important to ensure the style of finish that is desired has been correctly communicated and understood by the plasterer. A trial sample is highly recommended. Spanish Finish must be finished with a minimum of two coats of 100% acrylic paint or an approved latex exterior paint system in accordance with Specialized Construction Products paint specifications. Texture Finish – is a polymer-modified, cement based plaster manufactured from high quality aggregates and proprietary additives which when blended together on site and sprayed through a hopper gun will achieve a relatively flat, finely spiked texture finish. Texture Finish can be sprayed onto most properly prepared cementitous substrates. Texture Finish must be finished with an approved latex exterior paint system in accordance with Specialized Construction Products paint specifications. Stucco Finish – is a polymer-modified, cement based plaster manufactured from high quality aggregates and proprietary additives which when blended together on site and sprayed through a hopper gun will achieve a traditional heavy stucco plaster finish. 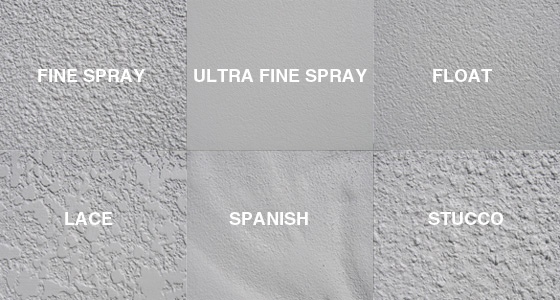 Stucco Finish can be sprayed onto most properly prepared cementitous substrates. Stucco Finish must be finished with a minimum of two coats of 100% acrylic paint or an approved latex exterior paint system in accordance with Specialized Construction Products paint specifications.